These are parts one and two respectively, of the Koba saga. Here is an African adventure story about a young girl uprooted from her Kalahari desert home after the murder of her parents by a party of white hunters. It features the Ju|'hoan click-language and is as ethnologically accurate as I could make it. 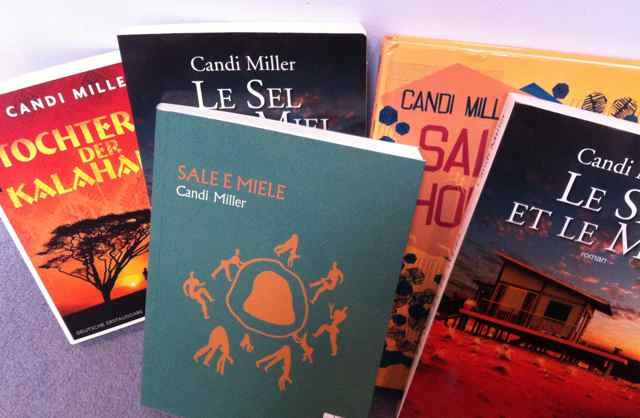 'Candi Miller has given voice to a people hunted and harried to near-extinction'. For me this statement vindicates a choice some might see as controversial in this day and age, that is, writing as other. "...a finely drawn portrait of a disappearing world." 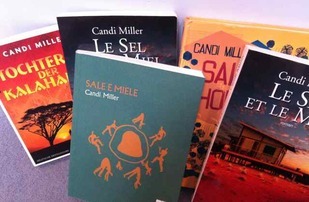 "Congratulations also to Candi Miller for hitting the shortlist (World Book Day, Books to Talk About, 2008) with Salt & Honey. I read this very recently and I just can't get it out of my mind. 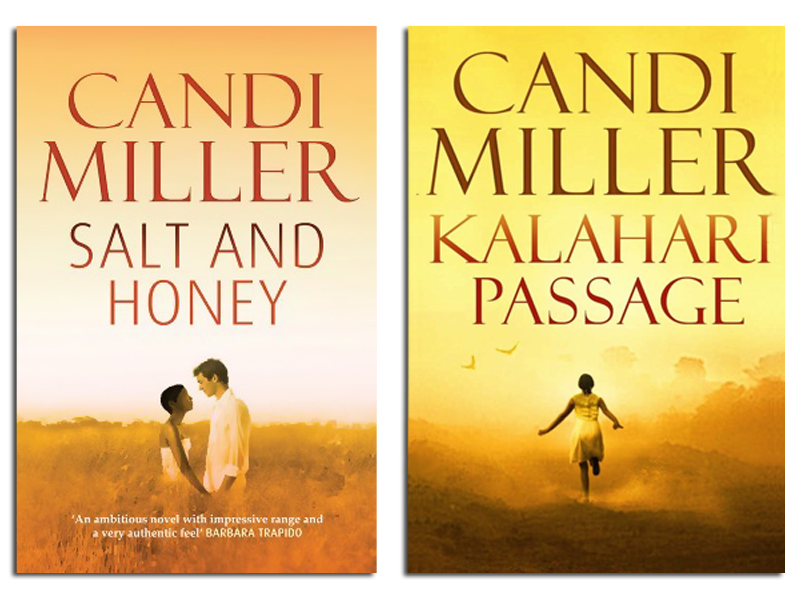 An absolutely stunning novel - the culmination of years of research, transformed by Miller's love for Southern Africa and her burning, poetic imagination - I'm thrilled that it's going to receive the exposure it deserves as a result of Books To Talk About." Musings from a Muddy Island, February 2008. Salt & Honey translations in German, French and Italian. It is also available in an English large print edition. "Kalahari Passage is tracker tale in the great tradition of African adventure hunts; with a twist -- hunted and hunter are humans." RACHEL HOLMES, author of THE HOTTENTOT VENUS. "I fell in love with Koba, and the more I read the quicker I turned the pages." AMANDA SMYTH, author of BLACK ROCK. 'Beautiful and gripping.' READ MORE... JANE HOUSMAN, The Guardian.